Become a Rep and share the Mad Diet message in your community. Specially formulated micronutrients to support mental health and metabolism. 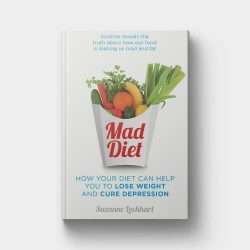 Mad Diet is a bestselling book and specially developed range of micronutrients to support mental health and metabolism. Trusted by thousands of loyal customers, our unique formulas are sustainably sourced, fully traceable, contain NO NASTY INGREDIENTS, and come in eco-friendly recycled paper packaging. We need to eat the correct balance of minerals, vitamins and amino acids for our brain and metabolism to function properly. 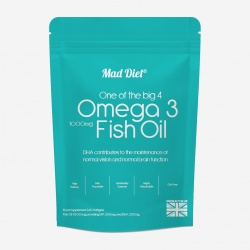 Often taking supplements can be seen as unnatural and that we should get our micronutrients from food. But science has shown that much of our food isn’t as nutritious as it used to be, and in our busy modern lives we often don’t get the nutrients we need. Started taking your supplements one month ago and can’t even begin to tell you how much better I feel. 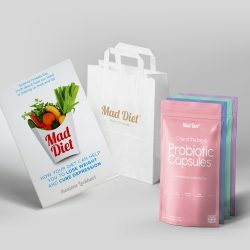 After reading Mad Diet I knew I had to make a change. Your book and suggested supplements have literally changed my life. Thank you.